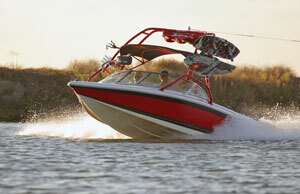 A powerful, thumping bass goes well with high-speed watersports. As with home theater and automotive audio systems, speakers on your boat are critical to good sound quality, so don’t skimp. A middle-quality receiver paired with the best speakers is more satisfying than an expensive receiver driving cheap speakers. Do You Want Box or Flush-mounted Speakers? Box speakers are easiest to install, and include their own acoustically-designed enclosure, so the sound you heard in our store will be what you hear on your boat. Their advantage is that you don’t need to cut holes in your boat to install them, but they take up more space, so may add clutter to a busy cockpit. 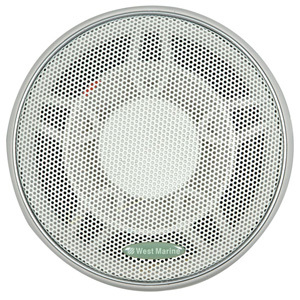 Flush-mount speakers are clean and attractive, fit in tight spaces and can’t snag tackle or lines, but need a cutout. However, proper mounting can be tricky. Speakers work by moving a diaphragm (cone) back and forth to move air and generate sound. An air space that is too small will inhibit movement of the diaphragm and result in a serious loss of low frequency response. Box speakers are so easy to install. Our Mini 3" Waterproof Box Speakers get great customer reviews on this site. Also, make certain there is no air path between the front and rear of the speaker. When the diaphragm moves forward, air will rush into the vacuum behind the speaker instead of traveling to your ear, again resulting in loss of low frequency response. Two-way, or coaxial, speakers include a separate tweeter—located inside the woofer—to handle the high frequencies and accurately deliver your music’s sound range. Three-way, or triaxial, speakers add a midrange driver to the separate woofer and tweeter for additional fullness and realism. Dual cone speakers are a less costly alternative using a small “whizzer” high frequency cone attached in the center of the woofer. Unlike a two-way speaker, dual cone models have only one voice coil (the coil of wire that converts the electrical signal from the receiver into mechanical vibration that drives the cone of the speaker). Bigger is better, but don’t get your hopes up that a 10-watt signal will sound better on a 100-watt speaker than on a 10-watt speaker. Be sure the speakers are rated for at least as much RMS watts output as your receiver, or you’ll blow speakers when you crank up the volume. Home or automobile speakers have steel frames and grilles, exposed copper wires and, in some cases, paper cones. 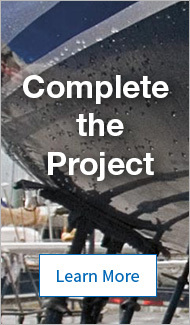 All of these features are a problem on a boat: steel rusts, copper corrodes, and paper dissolves. Since salt air is the main environmental problem, waterproof or marine-rated water-resistant speakers should be used below decks as well as in the cockpit. Water-resistant speakers are made with polypropylene cones, neoprene rubber surrounds, corrosion-resistant metal parts and UV-tolerant plastic components. Ingress-protection (IP) rated: Many speakers from Fusion and Sony are rated IPX5 (protected against low-pressure jets of water from all directions). 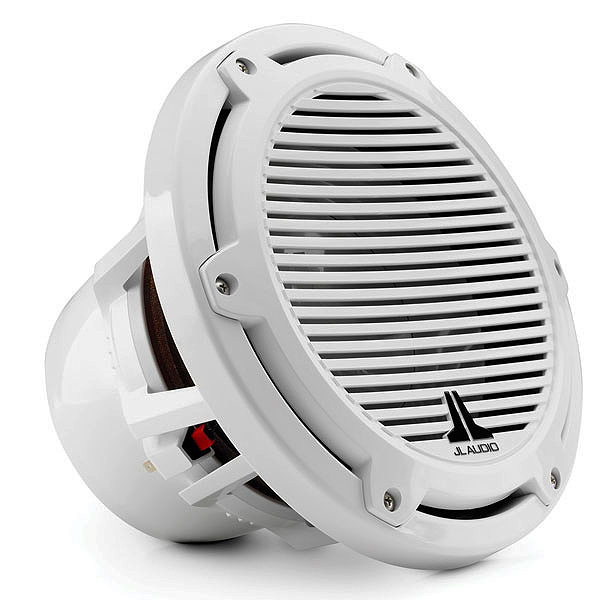 Poly-planar marine speakers are rated IP65 and rated to pass an ASTM 600-hour salt spray test, and designed for permanent outdoor mounting in the saltwater environment. Magnetic compasses have their needles pulled off magnetic North by nearby magnets from motors, unshielded cables and audio speakers. If you are installing a speaker close to your compass—either a magnetic or electronic compass—look for speakers with magnetic shielding. JL Audio's highly-rated Marine Subwoofer Driver with Classic Grille. Big speakers (8" diameter or larger) that have only one job—attacking your eardrums with massive bass. We offer several styles in the most popular size, with a 10" woofer cone. Most subwoofers are mounted inside specially designed boxes. A free-air or infinite baffle subwoofer doesn’t need a box, and saves valuable space, but you should install it in an airtight compartment or enclosure. Free-air subs also have flat frequency response, for crisp, clean bass. If you install a subwoofer, you need a separate power amplifier to drive it (subwoofers are either “powered,” containing their own amp, or “unpowered,” and require a power amplifier). Regular speakers can run off the receiver’s built-in amp, but you’ll get more power, more volume and cleaner sound from your premium speakers with a separate power amplifier. In a high-noise environment, like a fast powerboat, the amp provides the guts you need for great sound. Installing an amplifier requires a thick power wire run directly to your boat’s battery, and you also have to run audio cables to your head unit’s preamp outputs (or in some cases, connect your speaker wires to your amp). If you don’t plan to add an external amplifier, look for a powered enclosed subwoofer. Let’s say you’ve chosen four speakers, two flush-mount speakers and two surface mounted box speakers. For the surface mounts, installation is a snap. Just plan where you want the screws and drill a small hole for the speaker wire, seal each hole with a dab of silicone caulk, and that’s about it. Keep the wires behind the bulkhead wherever possible, bundling them together with wire ties. Proper flush speaker mounting can be tricky. Speakers vibrate a diaphragm (the cone) back and forth to move air and generate sound. Confined air space behind the speaker will inhibit the diaphragm’s movement and reduce its low frequency response. Make sure there is enough space (at least one cubic foot) behind a flush-mounted speaker, with no air path between the front and the rear of the speaker, to get the best bass response. A speaker is directional, producing the best sound along its central axis. Sound radiates in a pattern approximately 45° off this axis, and if you aren’t in this radiating zone, the sound must bounce off a reflecting surface in order to be heard. Point the speakers at your ears. Below deck, with many reflective surfaces to contain the sound, direction is less critical. Use 18-gauge wire to connect the speakers to the stereo, in most installations. Unstranded wire exposes less area to corrosion as long as its ends are sealed between the coating and the soldered part. Liquid electrical tape is excellent for this application. Be sure your speakers are connected “in phase” with their positive terminals matched with the positive side of the stereo output. Speakers connected “out of phase” with some connecting wires reversed won’t cause harm to the stereo or the speakers, but will cause some tones to cancel each other out with an audible decrease in sound quality. If you aren’t sure which speaker terminal is positive, connect an AA or AAA battery across the terminals. When the positive terminal of the battery touches the positive terminal of the speaker, the speaker cone will move forward.